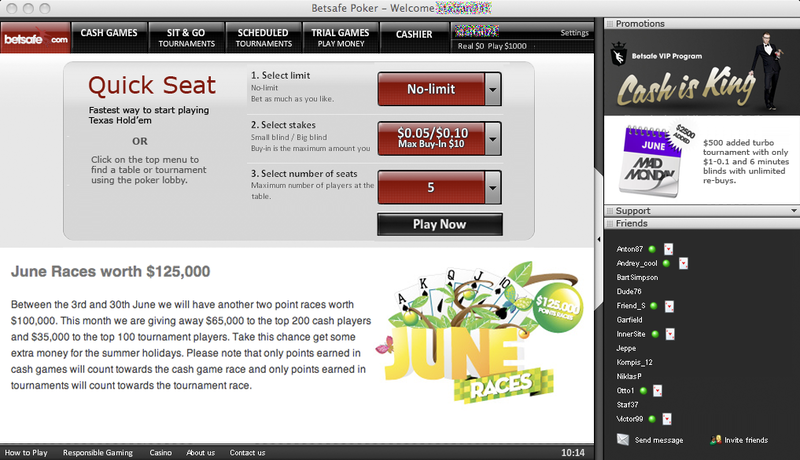 First out in my new section is the start view of OnGame’s poker lobby using the Betsafe skin. What are the player goals? Increase the number of money players in the network. Convert players into real money players. When I thought about these goals I suggest five changes to the start view. 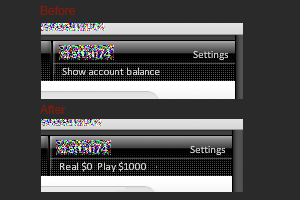 When you enter the start view you do not see how much money you have in your account, insted there is a link “Show account balance”. I do not understand why not show the balance right away? Who wouldn’t want to know their balance? I’ve added a headline so you know what feature it is you are looking at. 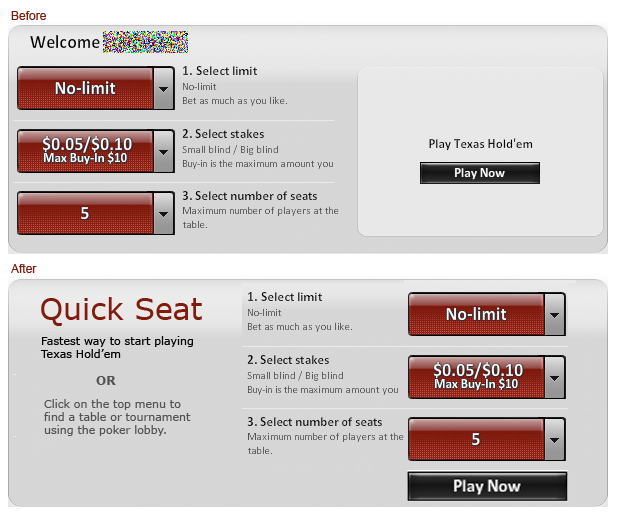 Also I’ve added a little text saying “…click on the top menu to find a table….” to make sure the player understand that he can use the lobby to select a table. Last thing I did was to increase the size of the Play Now button and place it underneath the selections to get a flow from top to bottom. 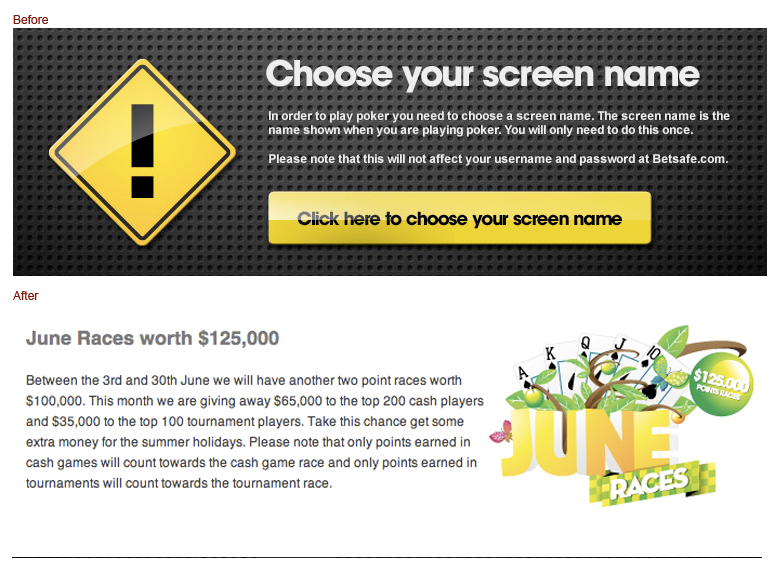 In the start view there is a huge banner saying “Choose your screen name”. The only problem is that I’ve already done that. So why not use that area for a banner that might be more interesting to me? At the bottom menu there are items placed elsewhere in the view. 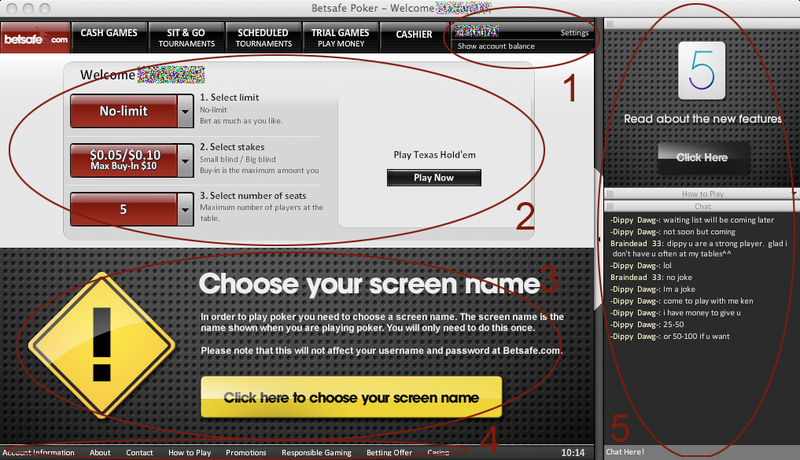 For instance there is “Settings” in the top right and “Account Information” at the bottom. I think just having the information under Settings. Ive done some other minor modifications to make the menu only have items you do not use that much. The right section is probably the area I’ve changed the most. Today there is a banner for the new features in the client. I do not think players will be very interested in reading them that many times. So I’ve changed to some more relevant promotions insted. I’ve also removed “How to play” and put in “Support” there insted. So that players have contact information easy accessed when they run into trouble. The “How to play” is down at the bottom menu in my suggestion. Last thing I’ve changed is to add a “Friends list” where you can see who is online, where they are playing, joining their table. But also the possibility to send messages to your friends as well as invite new friends to pay. Missed a redesign? You can find them all here!